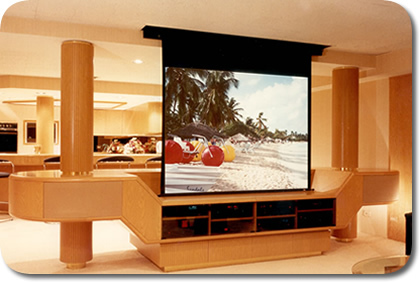 For over 30 years Design Presentations, Ltd. has been producing quality custom cabinetry for the professional audio & video industry, home theatre applications, and for upscale kitchens and baths. We can offer design consultation on existing projects, helping clients solve design problems and get things back on track. We can provide a complete design service from initial concept to working drawings and detailed 3-D simulations. 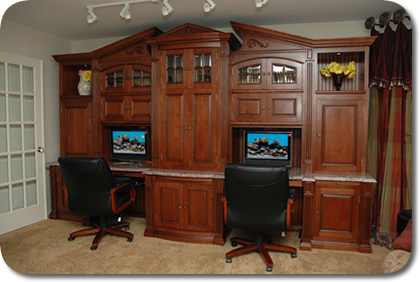 Our clients can visualize their project exactly as it will be built. We can provide complete project management, working with our client to ensure the project is exactly on spec and within budget. This site and pages within are examples of some of our recent work. We invite you to Contact Us to discuss how your project can achieve a similar level of excellence.